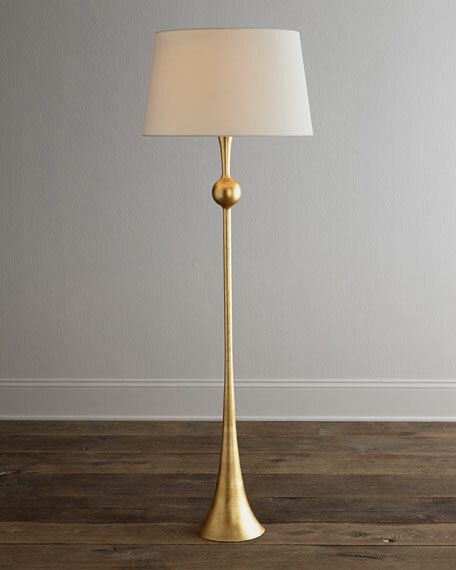 Floor lamp designed by Aerin for Visual Comfort. High-low switch on socket; uses one 150-watt bulb. Boxed weight, approximately 29 lbs. For in-store inquiries, use sku #144912. Aluminum and glass lantern floor lamp with hand-forged iron base. Floor switch push button. UL electrical. 12"W x 28"D x 75"T. Imported. Boxed weight, approximately 45 lbs. 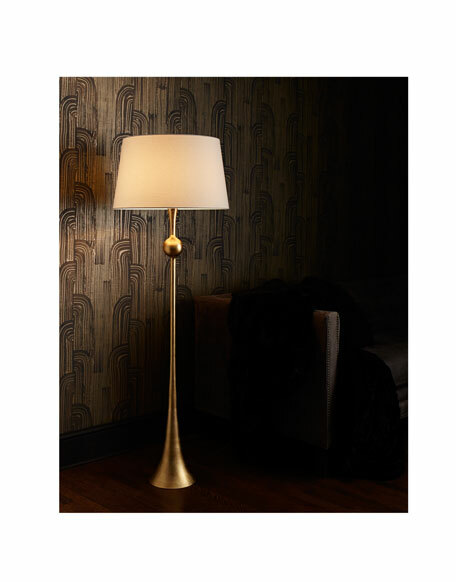 Antiqued brass floor lamp with perpendicular hanging glass globe shade. Foot dimmer. Globe shade: 10"Dia. Uses one 30-watt bulb (included). 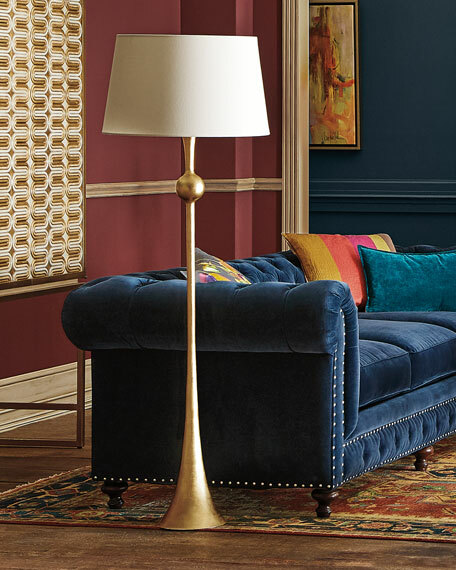 Antiqued brass floor lamp with perpendicular hanging glass globe shade. Foot dimmer. Globe shade: 10"Dia. Uses one 30-watt bulb (included). Overall: 22"W x 10"D x 77.5"T. Base: 12"W x 10"D x 1.5"T. Cord length: 8 ft. Imported. Boxed weight, approximately 34 lbs.